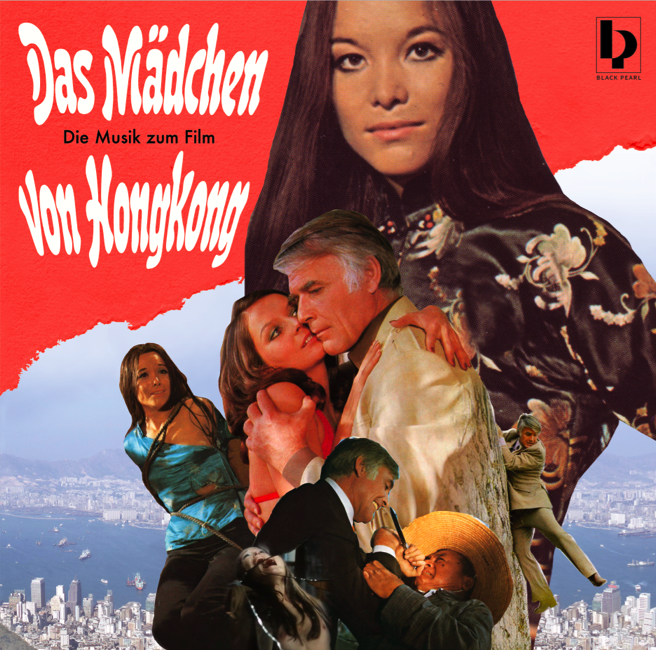 A german b-movie action & crime soundtrack “Das Mädchen von Hongkong” / “The Girl from Hongkong” from 1973, that was never released before and shot in HongKong with an international flair and with the very famous german actor and show-man Joachim “Blacky” Fuchsberger. The music of this soundtrack was written by Gerhard Narholz and recorded under different pseudonyms and with different groups. Gerhard Narholz is a very famous library composer, musician and owner of the music-archive Sonoton. The music is between typical library crime music & gangster action cinematic tunes, with very funky grooves, wah wah guitars, hamond organ riffs, fat horn stabs and fuzzy guitars and all that elements & ingredients that a gangster movie needs! This album is mastered by Sonoton studio-engineer legend Gerhart Frei! As a special we have 7 digital BONUS tracks in different versions or songs that will not be featured on the vinyl. This album was never supposed to be released back in the days and the Black Pearl crew is very proud to present this unknown soundtrack pearl for the first time to music-lovers & record collectors worldwide !! !